Cognitive science is a cross-disciplinary enterprise devoted to understanding the nature of the mind. In recent years, investigators in philosophy, psychology, the neurosciences, artificial intelligence, and a host of other disciplines have come to appreciate how much they can learn from one another about the various dimensions of cognition. The result has been the emergence of one of the most exciting and fruitful areas of inter-disciplinary research in the history of science. This volume of original essays surveys foundational, theoretical, and philosophical issues across the discipline, and introduces the foundations of cognitive science, the principal areas of research, and the major research programs. 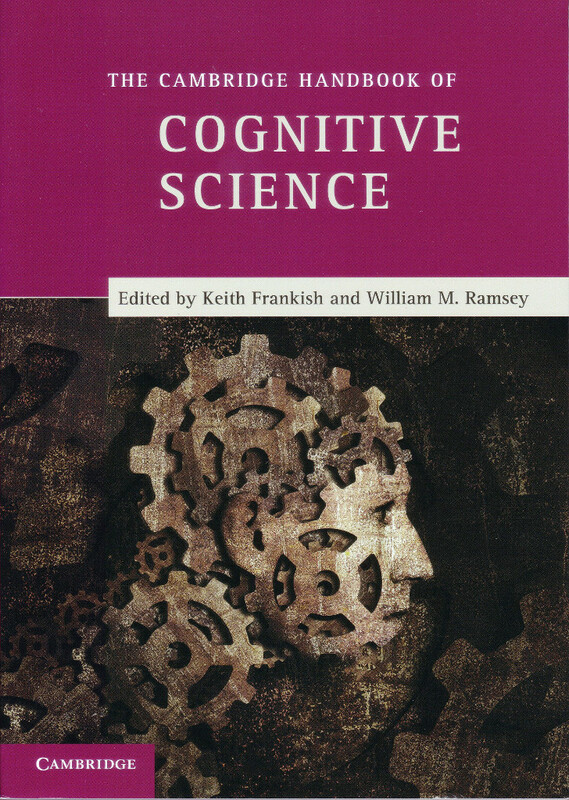 With a focus on broad philosophical themes rather than detailed technical issues, the volume will be valuable not only to cognitive scientists and philosophers of cognitive science, but also to those in other disciplines looking for an authoritative and up-to-date introduction to the field. Each chapter is a specially commissioned survey article from a leading writer in the area – either a philosopher of cognitive science or a scientist with strong theoretical interests. The approach is thematic rather than historical, and the chapters are primarily survey pieces, though critical assessment is also included, where appropriate. The volume will be suitable for upper-level undergraduates, graduate students, and scholars, with a particular emphasis on the second group. No extensive background knowledge is assumed, either in philosophy or the primary subject areas themselves. A companion Handbook of Artificial Intelligence has been prepared by the same editors, and the two volumes have been conceived as a pair. Extracts from the book, including the introduction and Chapter 1, can be read on the publisher’s webpage for the book. You can also download the introduction to the book. “a broad and authoritative collection of original essays in the field, collated in one volume, in a highly accessible format, for wider consumption than just those interested in the core subject, augmented further by a glossary of terms and recommendations for further reading in the various aspects of this wide-ranging field. … [D]ense enough to satisfy the more experienced cognitive scientist, but open enough to the student who has some but not a deep or wide background in the cognitive sciences. — Roy Sugarman, Director of Applied Neuroscience, Athletes Performance, Arizona. In Metapsychology, Vol. 17 (2013), Iss. 46. Read the full review. 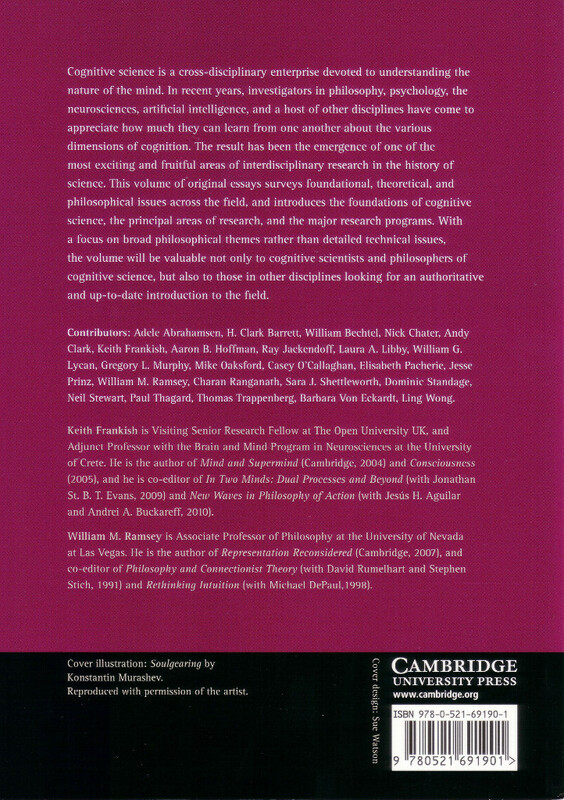 “[W]e think that volumes like The Cambridge Handbook of Cognitive Science are critically important: they provide a venue for relatively unconstrained data-driven theorizing, and they provide a resource to get young philosophers excited about working within the cognitive sciences. They also provide a high-level text for those who teach at the interface between theoretical and empirical cognitive science. — Eric Mandelbaum, Harvard University, and Bryce Huebner, Georgetown University. Notre Dame Philosophical Reviews 2013.02.22. Read the full review. —Glen Carruthers, Macquarie University. Philosophy in Review Vol. 34 (2014), Nos. 1-2. Read the full review. — Sam Clarke, The University of Warwick. Philosophical Psychology, Published online: 19 Jun 2014. Read the full review or read open access draft.